This phrase can be framed in the beginning of the path of dialogue that the Catholic Church has walked along with the Cuban people, many times in silence or silenced sometimes, exalted by some, slandered and reviled by others. The truth is that we have walked toward the dialogue and the beginning of changes which have brought undoubtedly benefits to many people inside and outside the Catholic Christian community. The first visible fruits of that visit were the huge Masses attended by hundreds of thousands of Cubans gathered for the first time in nearly 40 years to hear a message and a totally different picture, not at all related to marathon speeches and rallies filled with ideological slogans, to which “voluntarily” people used to attend. Hundreds of prisoners, including political prisoners were released, and officially it was also allowed to celebrate Christmas as a holiday in the official and working calendar. The Catholic Church had since then an increased access to the authorities of the communist government, and greater freedom for the people to worship and better spaces to the Church concerning its mission were also allowed. The seed had been planted. 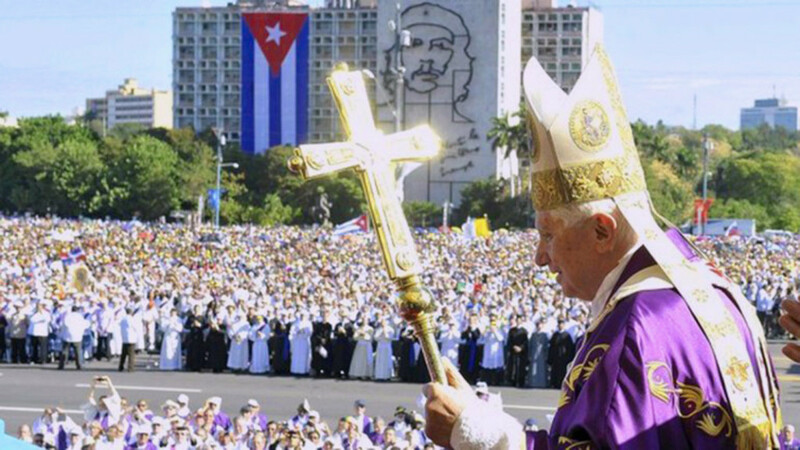 The call for openness, dialogue, respect for the duty and the right of all Cubans to participate in the political scene of the nation were expressed in almost all the homilies and speeches of the Holy Father and, in a convincing way, by the Archbishop of Santiago de Cuba. John Paul II came to Cuba as “Messenger of Truth and Hope”. A truth that not comes from the statutes of any political party and a hope that does not emanate from the struggles between social classes. Cuba could hear in those days a message of love, peace and reconciliation. That was the beginning of a journey, today we keep walking in prayer and awaiting for another Pope: Francis. Cuba has begun to open up to the world “with all its magnificent potential”. The Movement Somos+ continues its peaceful fight, creating awareness, for our people, sooner rather than later, may have a nation where all Cubans can live in harmony, freedom and access to all rights and duties we possess by nature and law as Cuban citizens. In a republic where, as Martí wished, “may the first law be the cult to the full dignity of man”. I am glad you like it Everett! You may follow us on FB via our page in English. We definitely believe a better Cuba is possible and achievable, and we are going for it!